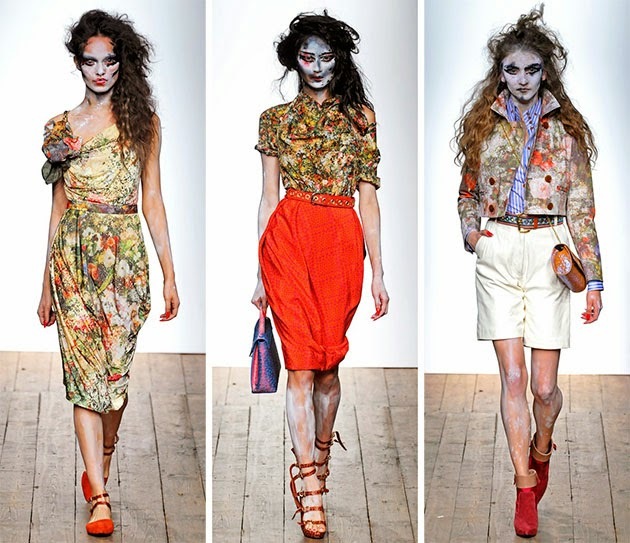 My make-up tipp for this year is the runway-look from Vivienne Westwood for her Spring/Summer Collection 2014. It's a scary destroyed look, which is great for Halloween I think. 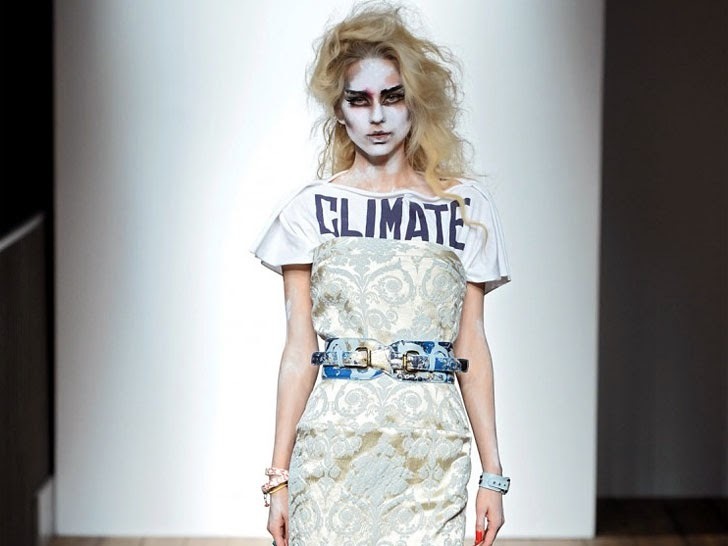 The best thing about it is the message I think , since Vivienne Westwood decided to make this look to point out the world's precarious climate-situation. I think that's great! 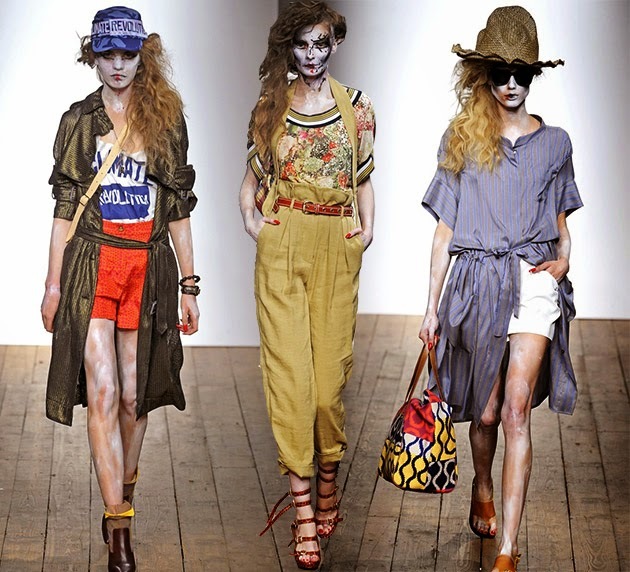 This look combines a very nice fashioned outfit with a great make-up and you can make your statement as an eco-warrior:) For me the perfect Halloween-Look! Hope you like it and may be I could inspire you a bit!